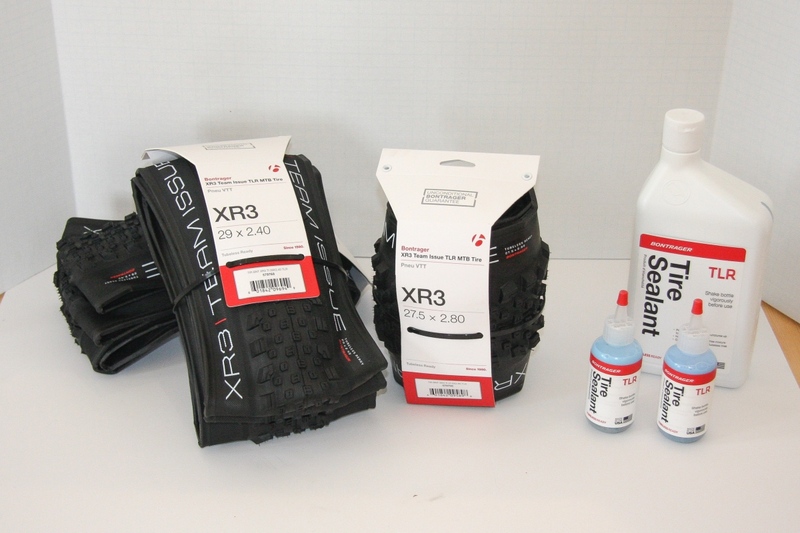 The new Bontrager XR3 Team Issue Tires and TLR Sealant are designed to be used together. Just into Mtbr test HQ this week are the new Bontrager XR3 Team Issue tires and Bontrager TLR Sealant. We haven’t had a chance to play around with either yet, but did manage to slap the tires on our house scale. The Bontrager XR3 Team Issue 29×2.4 has a claimed weight of 755g; we measured them at 774g. Meanwhile, the 27.5×2.8 model has an 833g claimed weight, and came in at 844g (sorry it’s a little hard to see in photo below). 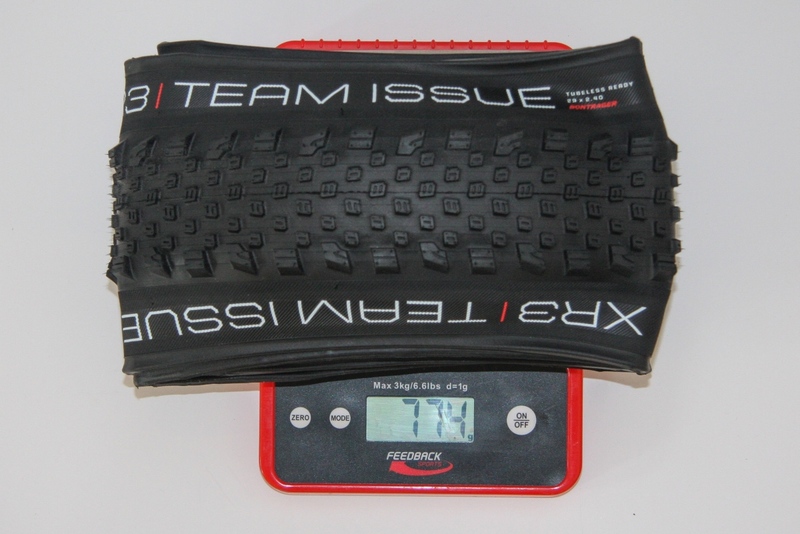 The Bontrager XR3Team Issue 29×2.4 tires came in at 774g. According to Bontrager, they completely revamped the tread, taking design cues from two of their most popular mountain bike tires, the XR2 and XR4. The idea with the 120tpi Bontrager XR3 Team Issue is that you get the fast rolling center tread of an XR2, and the hard biting side knobs of the XR4. 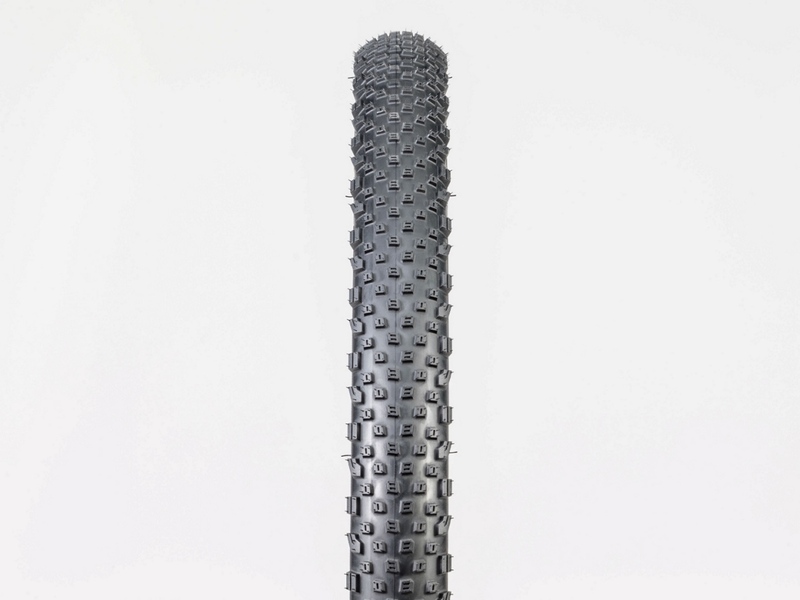 The result, says Bontrager, is a raceable XC tire that can also handle some reasonably aggressive trail riding. 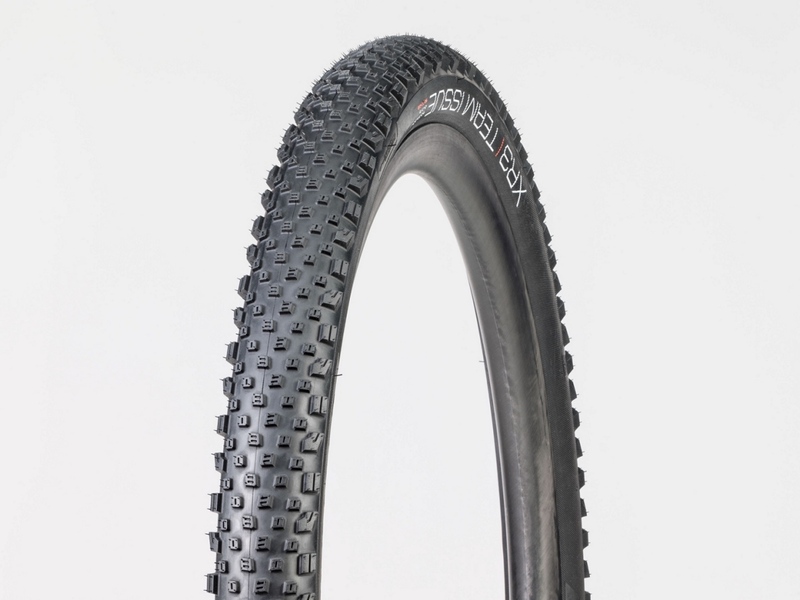 Read the Mtbr Review of the Bontrager XR4 TLR Tires. 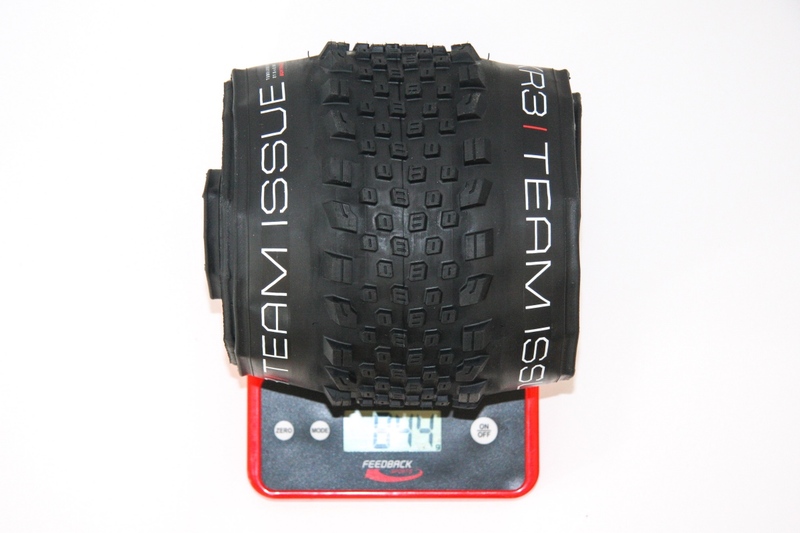 The Bontrager XR3Team Issue 27.5×2.8 tires came in at 844g. The Bontrager XR3 Team Issue tire is designed to offer riders traction and speed in a variety of trail conditions. 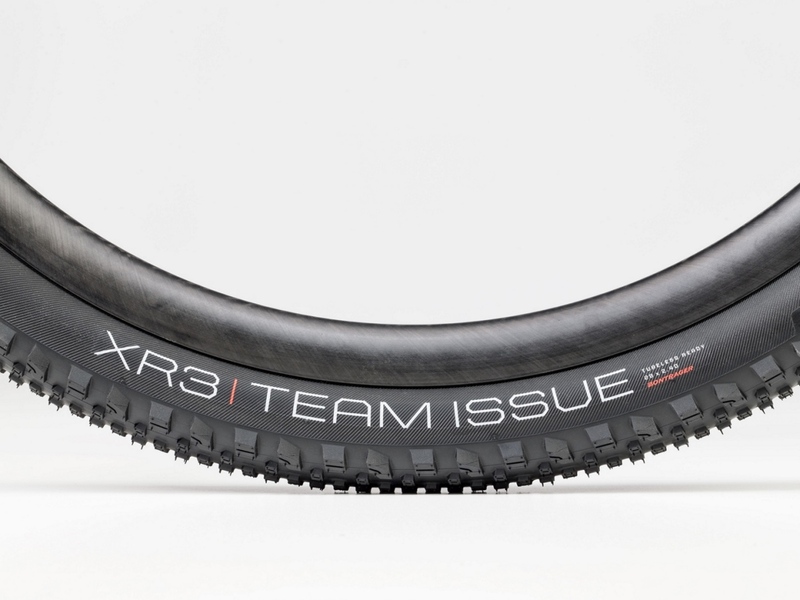 Like all Bontrager XR Series Team Issue tires, the XR3 features a lighter Inner Strength casing for additional sidewall reinforcement, and is Tubeless Ready for easy tubeless setup. It’s also worth mentioning that for every Bontrager mountain bike tire that Trek sells in North America, they donate $1 to support NICA, the national high school XC racing league. Pricing for the Bontrager XR3 Team Issue tires is $55 for the 29×2.4 model and $95 for the 27.5×2.8s. These new tires are 120tpi with a 62a/60a durometer. 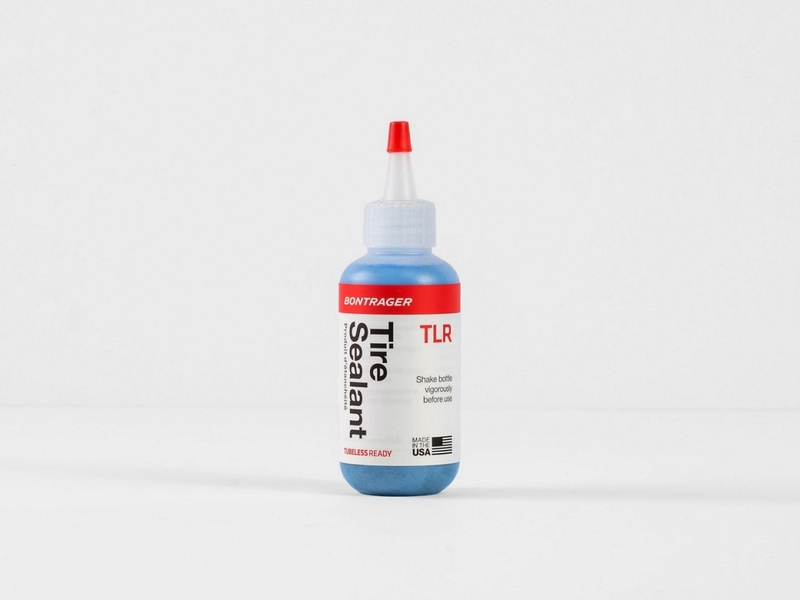 To keep air in its new tires Bontrager has also updated their tubeless ready (TLR) Sealant. The new blue-colored formulation is billed as providing a non-corrosive and ammonia free tubeless solution, that also now offers improved air retention and resists drying giving it an overall better tubeless experience with lasting performance. The new TLR Sealant comes in 3oz bottles for $4, as well as quart bottles for $28. Bontrager says the ammonia-free formula won’t corrode rims or degrade tire rubber, and it provides permanent repair for punctures up to 6.5mm. To learn more head over to www.trekbikes.com. This new tire has a fast-rolling center tread and aggressive side knobs to keep you rolling fast and confident around corners. 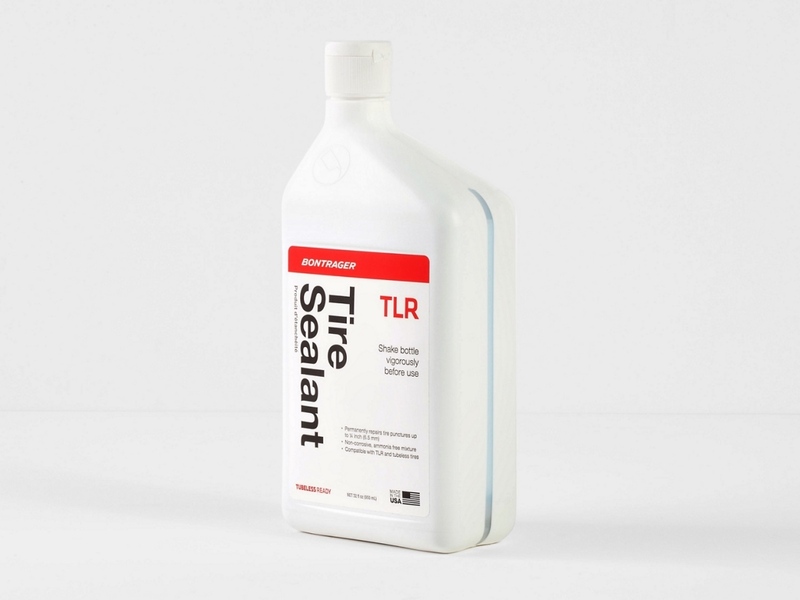 Bontrager’s latest TLR sealant is claimed to seal faster, lasts longer, and provides better air retention.